Washington : Men who take drugs to treat hair loss or an enlarged prostate may experience erectile dysfunction, and the problem can persist long after they stop taking the medication, a new study has warned. Men with longer exposure to the drugs finasteride and dutasteride had a higher risk of getting persistent erectile dysfunction than those with less exposure, researchers from Northwestern University in the US said. The persistent erectile dysfunction continued despite stopping these drugs, in some cases for months or years. Among young men, prolonged exposure to the drugs posed a greater risk of persistent erectile dysfunction (PED) than all other assessed risk factors. This means there is a stronger relationship between taking these drugs and having PED than having diabetes, hypertension or smoking, which are other risk factors. Prior to the new study, there was no strong evidence that finasteride and dutasteride cause sexual problems that continue after men stop taking them, researchers said. There also was no strong evidence that taking these drugs for a longer time increases the chance of experiencing sexual problems, they said. “Our study shows men who take finasteride or dutasteride can get persistent erectile dysfunction, in which they will not be able to have normal erections for months or years after stopping finasteride or dutasteride,” said Steven Belknap, a research assistant professor at Northwestern University Feinberg School of Medicine. Finasteride and dutasteride are drugs that are male hormone blockers. These drugs block the conversion of testosterone to its more active form, 5 alpha dihydro testosterone. The association between debilitating sexual dysfunction and exposure to finasteride or dutasteride should be of particular interest to prescribers and patients considering medical management of androgenic alopecia (hair loss) or symptomatic treatment of enlarged prostate, Belknap said. 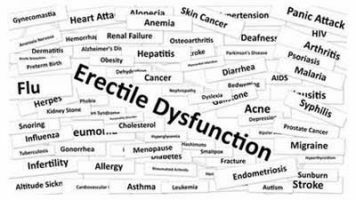 Among the men studied, 167 of 11,909 (1.4 per cent) developed persistent erectile dysfunction that continued for a median of 1,348 days after stopping the drugs. Young men under 42 years old who had more than 205 days of finasteride or dutasteride exposure had 4.9-fold higher risk of persistent erectile dysfunction than men with shorter exposure, researchers found.